Treat yourself to an experience at the Renaissance Las Vegas Hotel. A dramatic departure from traditional, Las Vegas hotels, offering a cool, boutique environment with luxurious amenities to enhance your stay. Frank Sinatra, Dean Martin, and the rest of the Rat Pack might feel right at home in the hotel's ENVY steakhouse, which features Kobe filet mignon, Black Angus beef, and a walk-in wine cellar. 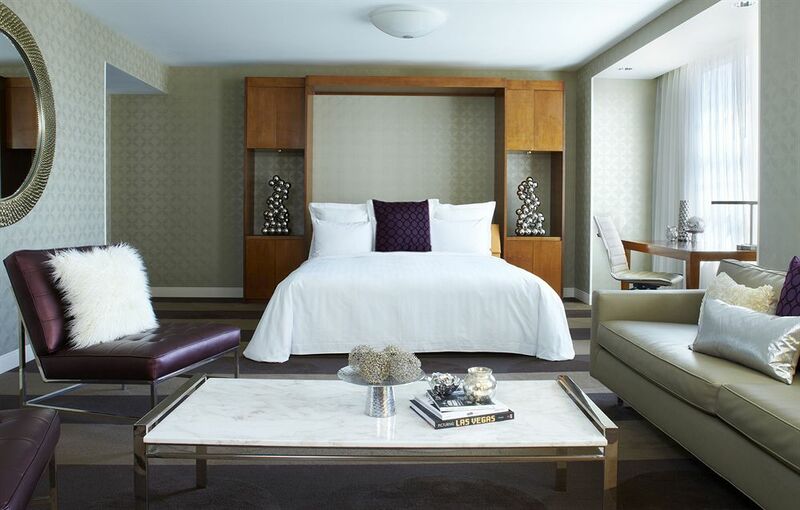 Guestrooms at the Renaissance Las Vegas offer soothing comfort and sophisticated décor. From the Egyptian cotton bedding with down comforters to the glass enclosed showers with separate bathtubs, guests will find exquisite amenities and modern conveniences.